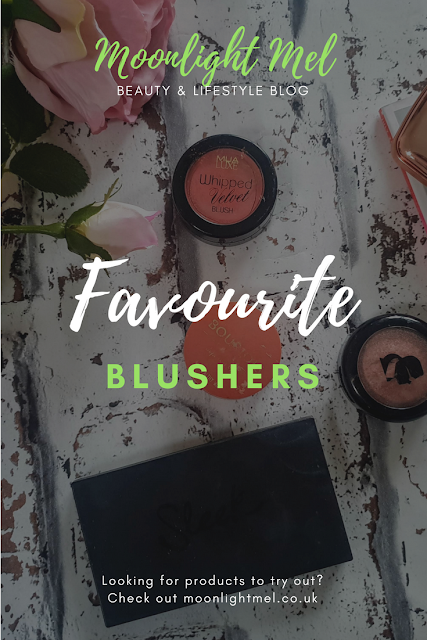 Following on from My Favourite Summer Fragrances post I decided to show you all my favourite blushers that I am just loving right now! When it comes to blusher in summer I like to have a little bit over my bronzer to add a little pop of colour to my cheeks. My usual favourite shades of blusher have to be pinks and corals. This has been in my collection a while that I think this has now been discounted, unfortunately. 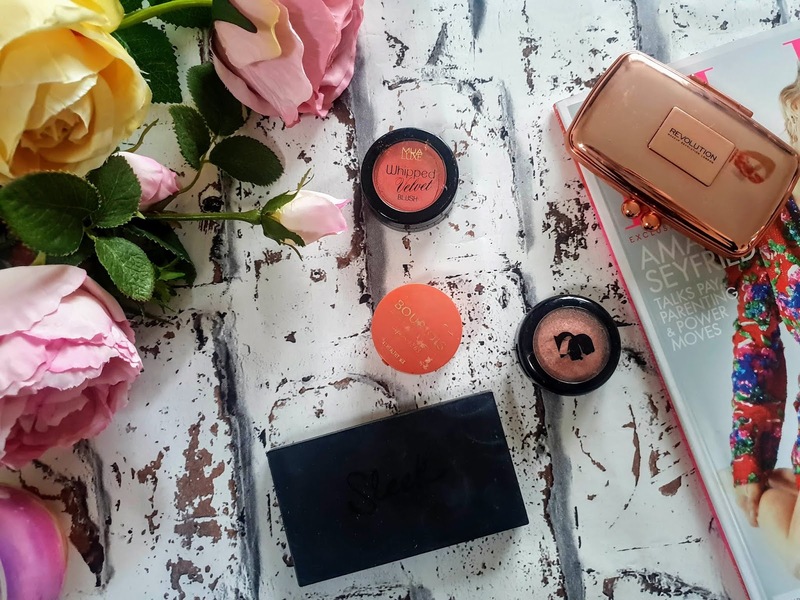 I love this blusher shade Spry as its a lovely coral shade with pink and orange tones in it. Seeing as its a creme it applies differently to the usual powder blusher so I like to apply this gentle my dabbing a blusher brush or using my fingers for a more intense look. Its a shame it is not available anymore because it is soft and buildable to create different looks. It was also fab to combine with a highlighter as it gives a gorgeous glow. Where to buy? Maybe Amazon? The first thing you notice about this blusher is its super cute packaging and its retro rose scent from the blusher itself. They have a decent selection to choose from and this one is called 'Healthy Mix' which is a delicate retro rose dusky pink. Applying this is effortless as you can build this blusher up to a finish you like. I like to use my real techniques blush brush and gently dab this in the pan then apply to the cheekbones alongside my bronzer and highlighter. I got 'Rose Beige' in a few months back Glossy Box. I don't usually get all hyped up about blushers in subscription boxes as they usually don't stand out for me... well until this that is. 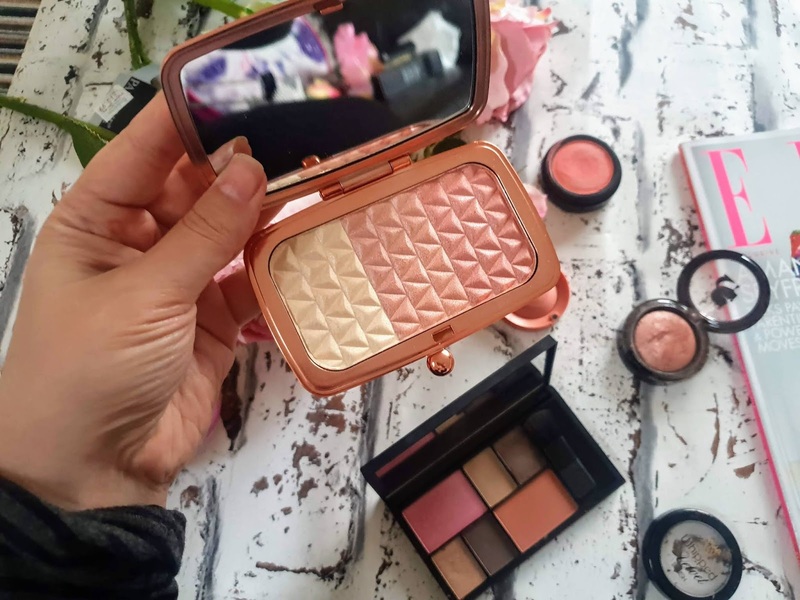 This blusher is like a 2in1 product as it gives a lovely glisten of colour while at the same time gives you lots of highlighter and shimmer too. These are pressed and baked and once applied to the skin they give a beautiful natural radiance that lasts all day long. These compliments summer well. The packaging is brilliant for the money but the product itself is amazing quality and worth it for the way it brightens the complexion. Another amazing product I got this in a previous glossy box. It had been ages since I had last tried anything from the sleek range but this changed my mind because it's a brilliant product. This palette contains 2 blushers and also 4 eyeshadows. Each of the products can be used for different things including brows, eyeshadow, shimmer and just to add some glow. 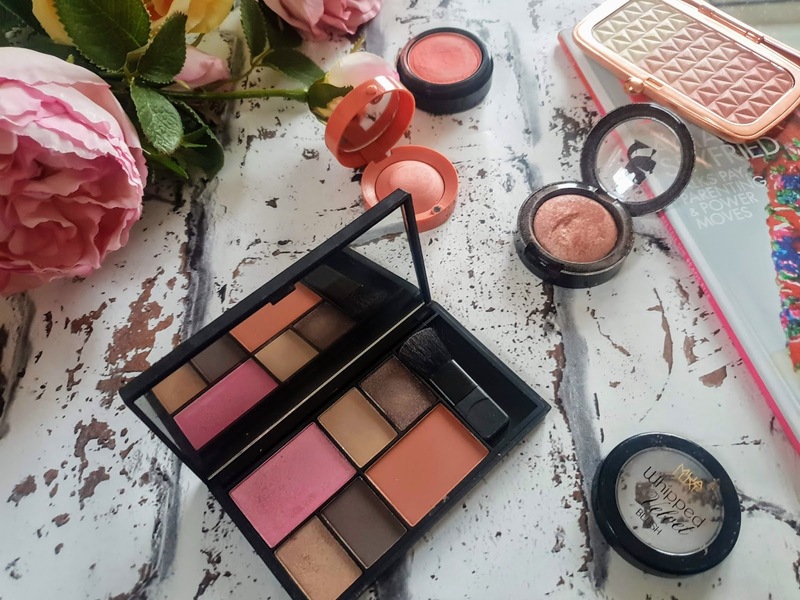 This palette isn't out now but the blusher shades inside can still be found on the sleek website and also high street stores like boots and Superdrug. The pink blusher is a delicate sweet candy pink the brightens my cheeks for days I don't want to wear much makeup. 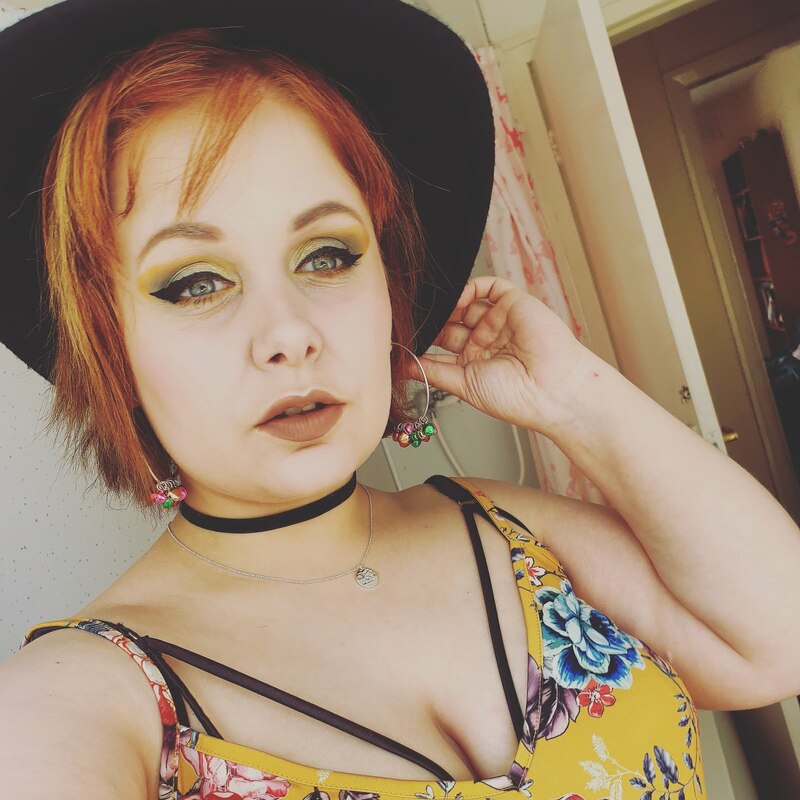 The orange shade is just divine and its perfect for the summer; it compliments a bronzer and looks amazing with a sparkly lipgloss. Where to buy? Online store and on high street like above. I love the blusher the most as it can be used in a variety of ways including; blusher, highlighter and eyeshadow. The packaging is simply divine and reminds me of a clamshell you would find in the little mermaid or something. Inside 'Radiant in Rose' it features a trio of rose pressed shimmer powders. It comes in a little velvet pouch you can store it in after use. My favourite uses for this are on my cheekbones to define them, my cupids bow and also on the arch of my brows to add some extra definition. Where to buy? Revolution online and Superdrug stores. Surprisingly I don't have much more blushers than this in my collection because I usually just wear a bronzer but seeing as its summer I like to add some extra love into my makeup routine and blusher just adds that extra glow that I love. I really want to try more blushers in the future so I would love your suggestions below. Which blushers are your favourites? I like the look of that Model Co Karl Lagerfeld blush! I miss a color like that in my makeup collection. I absolutely adore the look of the revolution one! I love that these are mostly affordable too. The whipped one sounds really interesting, I haven't tried a new blush in ages so I may just have to treat myself to one!